(L to R) Wayne Newbey and his Farm Hand at their WA property. Wayne Newbey and his brother returned to the family farm to give it a new lease on life and for the past six years they have been rewarded for their bravery in trying new farming methods. One of the major issues they were facing was the increasing number of Rhizoctonia patches eating away at their yield potential. Rhizoctonia causes crop damage by pruning the root system, which results in water and nutrient stress to the plant. Wayne took a punt and applied the new in-furrow fungicide from Syngenta, UNIFORM®, to all of their crops this 2016 season. 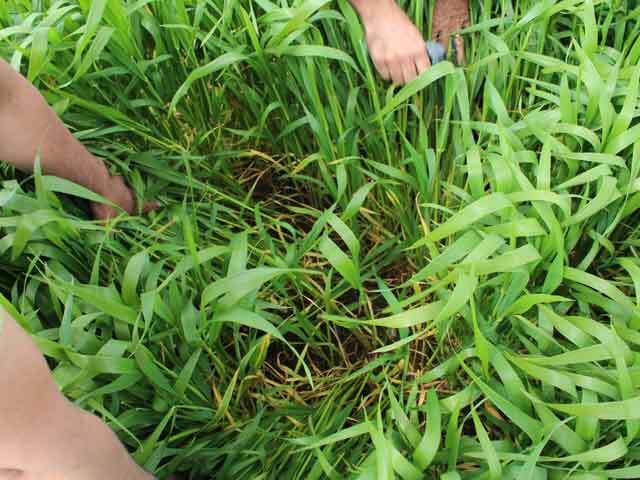 UNIFORM provides the only control of Rhizoctonia in Australian wheat and barley crops. It also controls pythium root rot and in wheat provides control of Stripe Rust and suppresses yellow spot. “We usually get these bare patches, but this year, with the application of UNIFORM, the patches have disappeared, and we are looking forward to harvesting grain where we wouldn’t have normally,” Wayne said. “With one paddock we have been sowing wheat on wheat on wheat. We treated it with UNIFORM this year, and impressively the crop is really holding up. “The stems are green from top to bottom. The unusual way Wayne applied his fungicide has really got people interested in his new age methods of faming. “We mixed together a number of nutrients; including trifolin, copper and zinc, then added our fungicide all in the one mix and applied it when we sowed the seed,” he said. 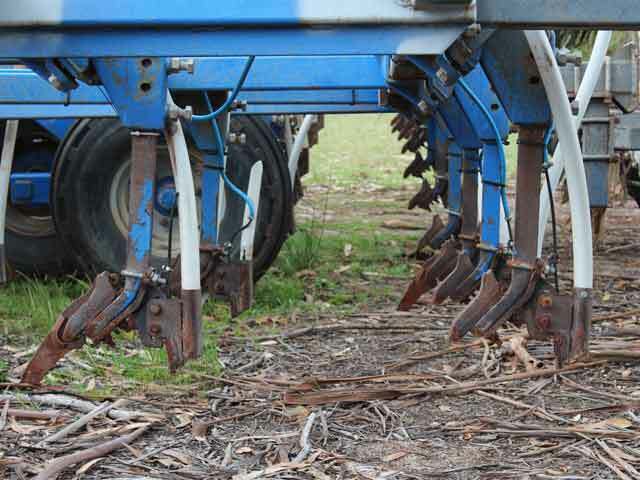 “We are using an AgMaster single boot and it lays the fertilizer in the furrow with the seed. “Having it in the boot seems to have saved us some of the troubles we usually get with blockages. “It’s made our liquid system work better, the adjuvant in there has made everything flow better. “Honestly, it’s the cleanest crop we’ve ever had, and we usually apply two fungicides, which I haven’t had to do this year,” Wayne said. Wayne is hoping for a dry finish, and another 50 ml of rain, which he anticipates will get the crop up to four tonnes per hectare at harvest.